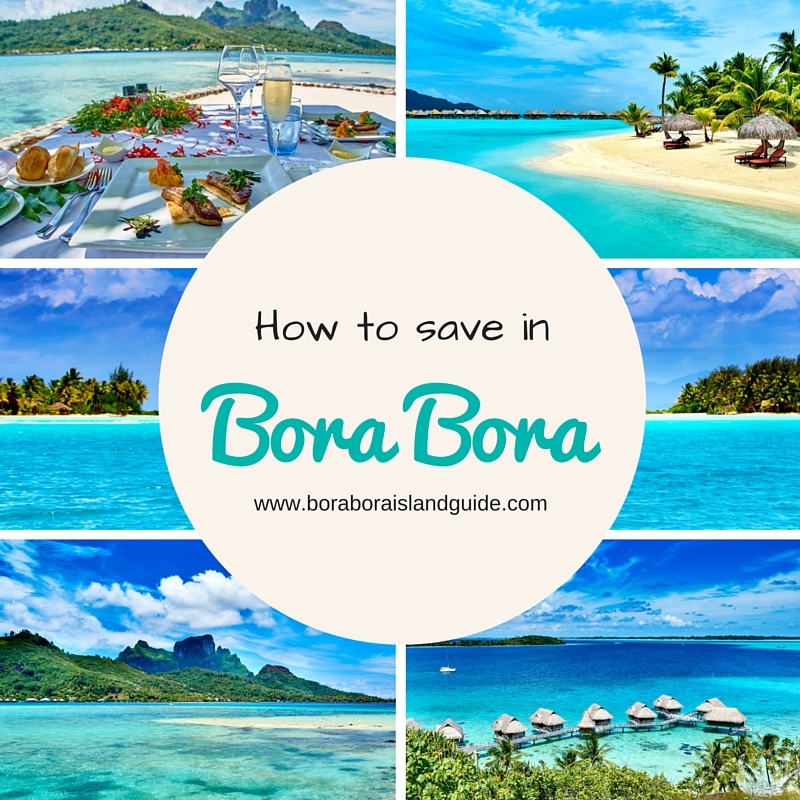 Our latest guide on how to save money on your Bora Bora vacation outlines the essential steps to making a dream vacation a reality, whatever your budget. 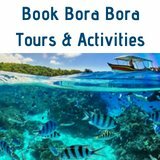 It shows how to choose cheap hotels and places to stay in Bora Bora, find free things to do in Bora Bora, and know which Bora Bora tours to book. You’ll discover what to plan ahead so that you spend less with every transaction. 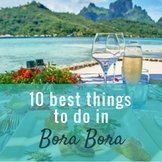 We learned all about how to save money on your Bora Bora vacation, by doing it ourselves; a number of times! 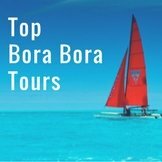 On our first two trips we found cheap Bora Bora online hotel bookings for 7 nights at a top resort, with all meals thrown in (and were upgraded on arrival); enjoyed many of the novel free things to do in Bora Bora; PLUS sailed around Tahiti, all-inclusive, to 5 different islands, at half the regular price. 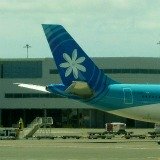 We even flew free to Tahiti, the first time! Over the years we’ve discovered many things which may be overlooked, but must be take into account, when focused on how to save. 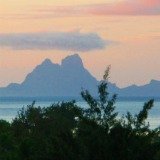 These can make or break your adventure in paradise. Some cheap accommodation says on it’s website that it’s situated lagoonside. 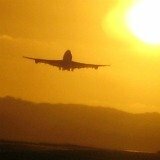 But on arrival you’ll find there’s a drop to the water – and no white sand in sight! 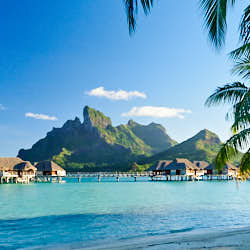 If you’re there to romp on the beach and swim in the bluest lagoon (and who isn’t!) you may have a long walk/bike-ride to the beach; or be dependent on the availability of your host, who may not speak much English. The temperatures are warm all year so after the trip back to your ‘cheap’ hotel accommodation you’ll be ready for another swim. Secondly you need to be aware of what's WORTH spending dollars on! There are many important choices to be made. But the location you stay is most critical. 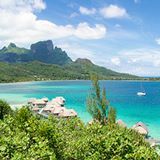 This isle is all about the beach-fringed lagoon, especially when you are visiting Bora Bora on a budget! 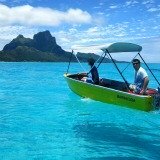 The very best places to stay in Bora Bora are those that grant all day access to the lagoon, with complimentary water-craft. 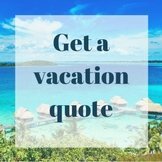 So we share all the advantages of picking one of the great-value bungalows at moderate-priced resorts. 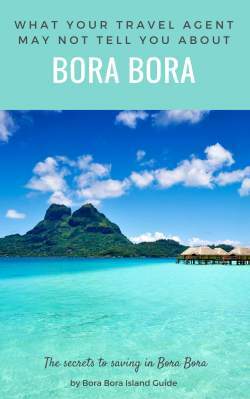 If you don’t have enough dollars for that, we tell how to pick one of the cheap hotels in Bora Bora where there’ll only be a few steps from your room to the beach. 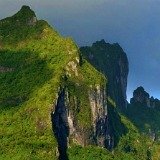 How to visit the world's most exclusive island, on a budget...and get yourself into those awesome photographs! For most people this remains a fantasy. But like anything, you can learn from those who have done it. 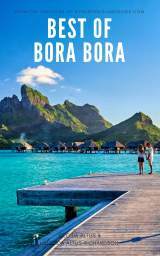 On each trip we’ve stumbled upon more ways for how to save money on your Bora Bora vacation, and collated them into one entertaining book. 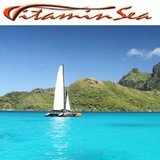 It has solutions for the issues above, plus 80 more exciting tips and strategies. 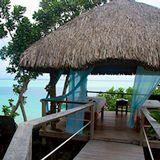 You too can sun on the palm-dotted beaches, snorkel in the blue lagoon, and sleep in a thatched-roof bungalow. 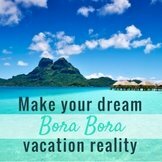 Start saving money on your Bora Bora vacation right now. Download the e-book instantly or have a beautiful premium paperback book delivered straight to your door. 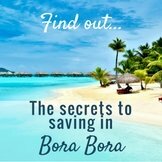 Want to learn how to save money on your Bora Bora vacation? 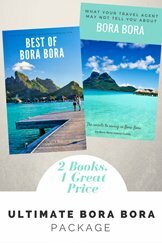 Download eBook now for only $9.45!